Change is hard. Older adults are often reluctant to give up the familiarity of living alone. They may feel more independent at home – but often, it’s a false sense of independence. In fact, many older adults need considerable help to live safely in the family home. And there comes a time when staying there is no longer the best option. When it comes to elder care, it’s always a good idea to plan ahead. Ideally, older adults and their children discuss their options for senior living before they need to put the plan in place. Yet families often put off having those difficult discussions because they’re uncomfortable. If you recognize any of these red flags, it’s a signal you should make that conversation a priority. 1. Slipping hygiene. Is your mom or dad bathing less frequently, wearing the same clothes over and over, or forgetting to brush their hair and teeth? Is the house no longer kept up to the same standards? If so, your parent or parents might need extra assistance. 2. Behavior changes. If you notice that an older adult is more forgetful, repeats themselves more often, seems confused or calls you frequently without a reason, it might indicate dementia or cognitive decline. 3. Poor diet. If your parents are skipping meals or subsisting on the same microwavable dinners day after day, they might not be getting the nutrition they need to stay healthy and happy. Spoiled food in the fridge can also be a sign that an aging loved one is having trouble keeping up with good nutrition. 5. Loneliness. If older adults can no longer drive or get around as easily as they once did, they can become isolated. Even when neighbors or family members visit, they often can’t provide the same level of stimulation and conversation that an older person experiences within a group of peers. Loneliness and isolation can take a toll on physical and emotional health. 6. Family strain. When grown children care for their parents, they can spend all of their time together focused on necessities like cooking, cleaning, bathing and traveling to doctor’s appointments. Those duties can put an emotional and financial strain on families. If your time with your aging parent is marked with more stress and to-do lists than togetherness, it could be a sign that the current situation isn’t sustainable. 7. Fear. Older adults can become fearful when they can’t take care of themselves. Pay attention if your parent is anxious about things like cooking or walking upstairs without help. Listen if they mention they’re afraid to be alone or worried about who will help them in an emergency. Their home should create comfort, not fear. 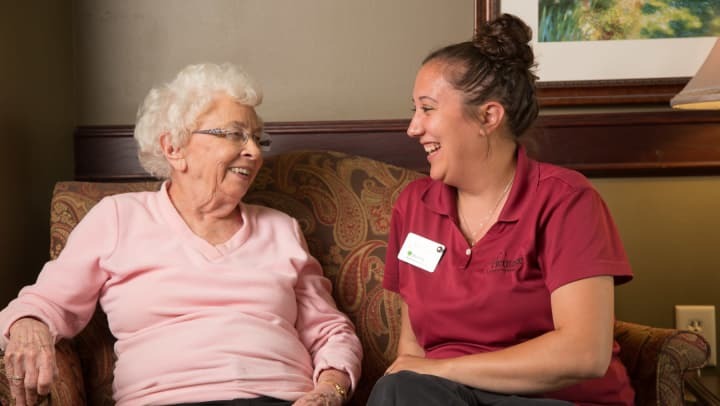 Assisted living is designed to address all of these concerns, from housekeeping and meals to bathing assistance and reminders of daily tasks. When older adults have help meeting their basic needs, they often have more energy for the activities and hobbies they love. And at Heritage, there are lots of opportunities for fun activities: book clubs, pool leagues, exercise classes, trips to the movies and even drinks with friends at our on-site pubs. Learn more about the ways that Heritage Assisted Living can help your loved one live better.